Valerian Root is the root of a perennial plant which produces beautiful sweet smelling white or purple flowers and the name “Valere” in Latin means to be in peak health. Valerian is indigenous to parts of Asia, South Africa and Europe and since has been introduced to most countries around the globe. It is an exceptionally pungent smelling plant when dried due to the isovaleric acid the root produces. Dating back to the ancient Romans and Greeks this valuable medicinal plant was used as a folk medicine for various illnesses such as urinary tract infections, nausea and vomiting, severe headaches, heart conditions, insomnia and liver disorders. Valerian is known to have a sedative effect and is used widely to treat patients suffering from insomnia as well as a muscle relaxant as the effects of valerian reduce tension and irritability. In Germany mothers used Valerian as a coffee substitute and as a condiment during medieval times and a tea made for children thought to be misbehaved at that time but in today’s times we would term this behaviour as ADHD. This medicinal herb is also used for conditions such as nervousness, epilepsy and hysteria. The herb also contains diuretic properties. Researchers have found no consensus as to what the active valerian constituents in valerian root are. The result of valerian activity may be due to a combination of compounds. Researchers have established that valerian increases the GABA by increasing its production in the body or may even decrease the GABA absorption and/ar break down the GABA. There is inconclusive evidence of the effectiveness of valerian. Valerian root can be purchased in most pharmacies as well as health outlets around the globe and can be bought directly over the counter as well as online. Valerian can now be obtained in capsule or tablet form as a dietary supplement. The preparation method is easy all you do is add 1 teaspoon of valerian root to a cup of boiling water. Allow the tea to cool off and then strain and drink. Herbal medicine like any other medication needs to be taken with caution as all medications have side effects. If valerian is being used for insomnia it should not be combined with other medications such as sedatives or benzodiazepines like Temazepam, Zopiclone, Lorazepam or Phenargan. Valerian should not be taken by children nor expectant ( pregnant) and nursing mothers. The side effects may include itchiness, drowsiness, dizziness, headaches, dry mouth or an upset stomach. There have been reported cases where valerian root has been associated with liver damage but has not been proven. Should you experience any pain or discomfort on the right side of the abdomen accompanied by nausea, vomiting, diarrhoea and intense itching, you are advised to stop the medication and contact your doctor immediately. Always consult a professional before using valerian root and should you be suffering from any liver disease avoid taking this herb. Valerian root should under no circumstances be taken with other medications such as antifungal agents, allergy medications, cholesterol medications or chemotherapy medications as valerian is broken down by enzymes in the liver and could interfere with these other types of medications. Is Ephedra Legal or Banned? Ephedra-based diet supplements are completely and fully banned, despite many years of mixed messages. February 2004 – FDA prohibited sales of diet supplements containing ephedrine alkaloids. In April 2005 a judge in Utah struck down the FDA ban. Later in 2005 supplement makers began making pills with a 10mg dose of the ephedra alkaloid. This made things very confusing and left many wondering whether ephedra was legal or not. Aug 17 2006, the FDA upheld their original ban (effectively reversing the Utah court decision). No dosage of dietary supplements containing ephedrine alkaloids is safe and the sale of these products in the United States is illegal and subject to FDA enforcement action. Ephedra will always remain a controversial supplement. 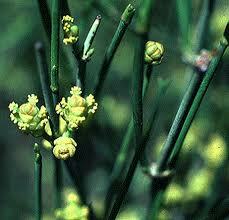 Along with many critics, there are also many who support the use of ephedra as an effective fat burner. The short-term use of ephedrine, ephedrine plus caffeine, or the assessed dietary supplements containing ephedra and herbs with caffeine is associated with a statistically significant increase in short-term weight loss (compared to placebo). I suspect this debate will carry on for many years to come. A ban always drives a product underground. Unfortunately, consumers can still get ephedra online. This is dangerous because consumers aren’t protected if they buy it and get sick. There’s no way to tell if it’s real ephedra or something else and scams abound. Caught in the act by the FDA, Herbal Science International, Inc. (aka Jen-On Herbal Science International, Inc.) is recalling 12 dietary supplements that contain ephedra, aristolochic acid, or human placenta. No dose of ephedra is considered safe. These products contain aristolochic acid, a cancer causing chemical and kidney toxin. This product contains human placenta that may transmit disease. The FDA is moving to gain tighter control the quality of manufactured supplements. It can’t come soon enough. OK, you’re scheduled for surgery, and you take herbals. Does your surgeon know what you take? Be smart. If you use any of the herbals on this list, tell your surgeon. Proto-col Slim-Fizz is a unique appetite suppressant that contains the ground-breaking fibre Glucomannan, which is an organic dissolvable fibre derived from fresh Konjac. New Diet Taps into Pioneering Idea to Help Dieters Get Rid Of 15 Pounds within Only 21 Days!